Radishes are among the easiest vegetables to grow and are among the many cool-weather crops that do just fine in Southern California. Some varieties are ready to harvest in just 21 days, which also makes this one of the fastest-growing options for your vegetable garden. This, of course, makes growing radishes a great choice for impatient gardeners who like quick results and for getting kids interested in gardening by allowing them to experience all of the growing stages in just three weeks. Follow these simple steps and find out just how easy it is to grow radishes in your backyard garden. 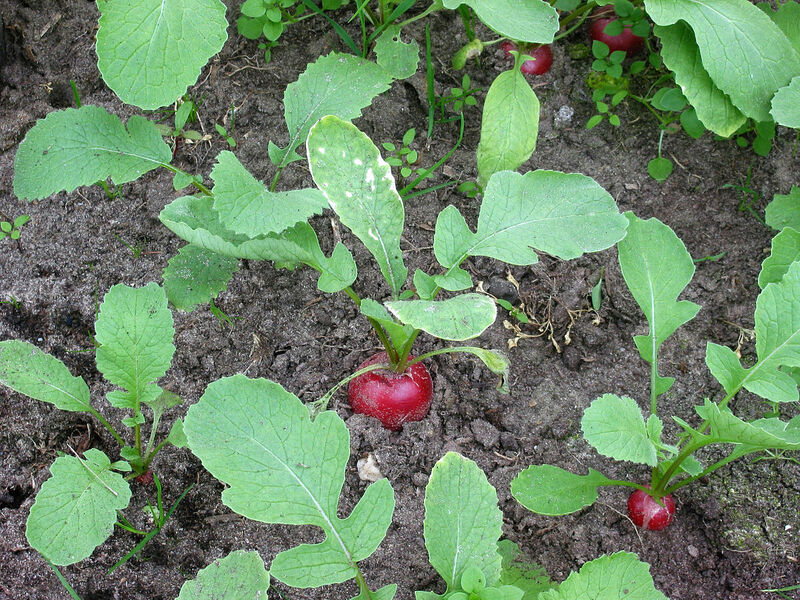 Radishes prefer a sunny area with well-drained soil that has been well turned at least about six inches down. It is always a good idea to mix some compost into the top few inches of soil, particularly if you are planting in the ground or in a garden bed that may be deplete of nutrients from previous crops. However, you do not want to worry about this too much, since too much nitrogen or too much organic material added to the soil can actually take away from that crisp, fresh flavor that made you want to grow radishes in the first place. When you are ready to plant your radishes, simply tuck the seeds between one-half inch and one inch into the soil about an inch apart in rows that are between four and six inches apart. Some gardeners plant rows that are 12 inches apart, but this is not necessary and can lead to unnecessarily smaller harvests by taking up more room than needed. Because radishes grow so quickly and you can enjoy multiple harvests each year, it is best to practice succession planting with this crop. To partake in this practice, continue to plant new seeds every week to 10 days for an ongoing harvest. Also, because radishes grow so quickly, they can be planted among slower-growing crops to save space in your garden. 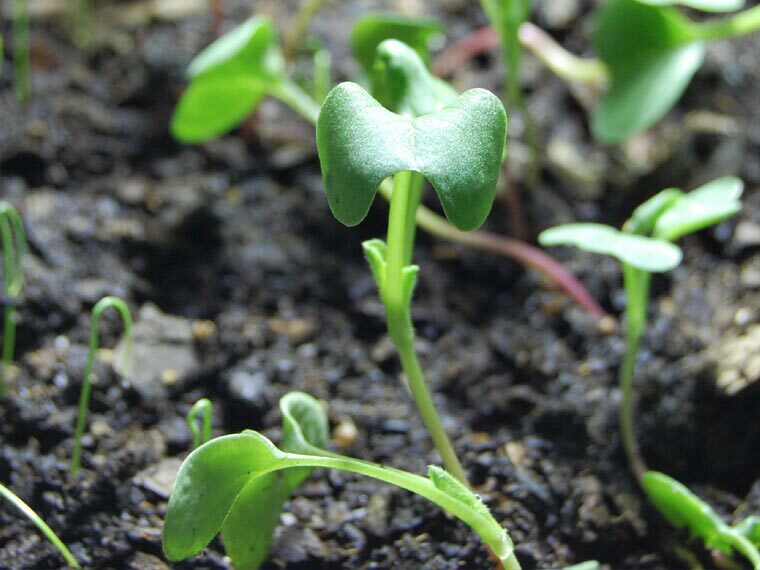 After your radishes begin to sprout, which will be very soon after planting, thin them to about two inches apart to allow for proper growing space. Once your radishes are a few inches tall, add a thin layer of compost to help maintain proper soil moisture levels. Radishes do not like their soil too dry or too wet, so you will want to water once or twice per week, depending on the weather. While radishes are susceptible to some garden pests, very little care is required – aside from regular watering. If you are hoping to eat the greens as well as the roots, you may want to employ some natural methods to keep pests away. Radishes are incredibly easy to harvest. When they are ready, you simply remove them from the ground with a gentle pull, and they are ready to go. The most difficult part of harvesting radishes is making sure you harvest them as soon as they are ready. Many root vegetables can be left in the ground a bit past maturity until you are ready to use them, but radishes are not among them. Be prepared to pull your radishes right at or soon after the maturity date noted on the seed packet. Once you have harvested your radishes, cut off the greens and store your radishes in a plastic bag in the crisper drawer in your refrigerator. You can use the greens for salads or sautéing up to about three days after the harvest. If you do not plan on eating your radish greens, you can add them to your compost bin. Rotate your radish crop every three years to avoid pests and diseases. 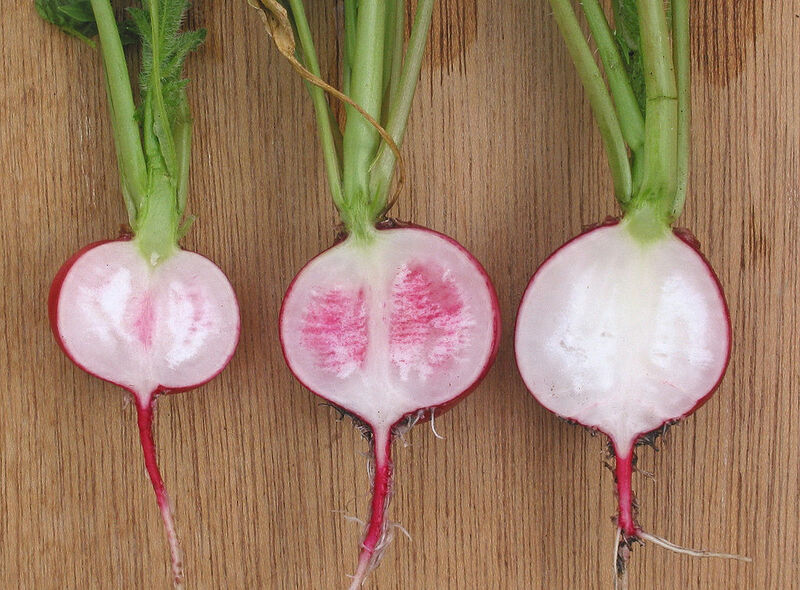 Radishes have two growing seasons: spring and fall. If you time your succession planting properly, you can harvest your first crop and replant in that same area to continue your growing season.